Although the momentous Labor Day weekend has come and gone, summer is not over at the Sandy Seagull. We are still open on weekends for the rest of September! We will not be closing our doors for the season until October, and before we do, we want to give you a taste of fall. Unfortunately, the temperatures are getting cooler, the days are getting shorter and school is back in session. Fortunately, that means we can give you a taste of the season. 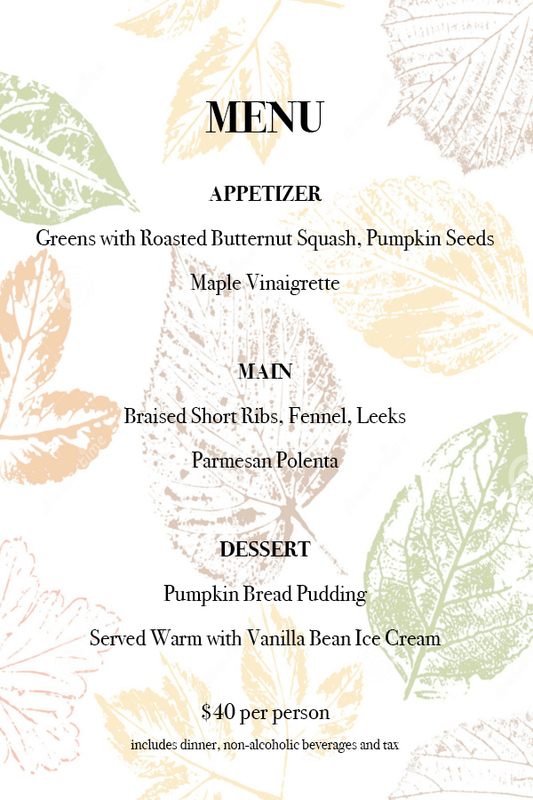 Check out the menu below and email info@sandyseagull.com to reserve your table now! "The Native Americans dug a sand pit and lined it with hot rocks and coals. They added the lobster and clams to the pit and covered them in fresh, wet seaweed and more hot rocks, steaming the lobster and shellfish in seawater." Seems like a lot of work, right? As you know, we at the Sandy Seagull prefer simple concepts done well (#SCDW). With that said, we're proud to announce the first installment of the SS Supper Series; A Casual Communal Lobster Bake. Click below to take a look at our slightly elevated menu, complete with locally sourced ingredients mixed up into homemade goodness. The communal theme of this dinner is rooted in the connections we have made with the Manasquan community since opening our doors in May. With this first supper and the suppers to come, we hope to bring the community together under our roof, welcoming you in the same way that you have welcomed and supported us. We're also excited to debut our SS Jarred collection. Another offering in the store we lovingly refer to as a Bazaar of Brands. The homemade tomato jam you've come to love on our Jersey Tomato panini, as well as the delicious house brined dill pickles on the Fried Chicken and Biscuit sandwich are now available for purchase! A limited number of tickets are available, so please don't wait. We look forward to hosting y'all in our first of many dinners to come. And if you're interested in future SS Suppers, please email info@sandyseagull.com to be added to our upcoming reservation lists.